Last month, the Supreme Court released its ruling in the potentially landmark case of South Dakota v. Wayfair, a case re-examining the right of an individual state to charge internet sales tax. Released in a week full of tumultuous political headlines, Wayfair seems to have gone partially under the radar for many conservatives. Unfortunately for fiscal conservatives, unlike some of the other headline-grabbing events of the week, the Supreme Court’s decision in the Wayfair case could have long-term and nationwide impacts. 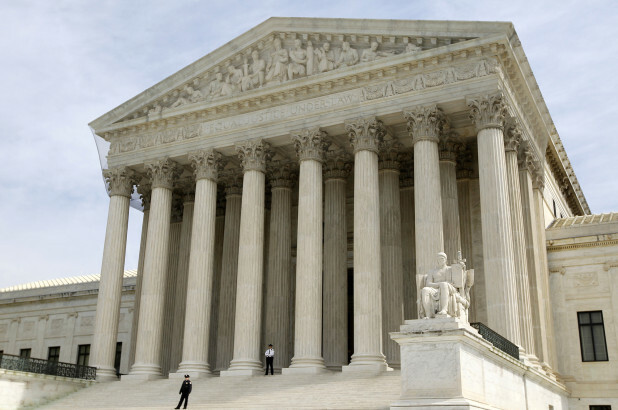 In the Supreme Court’s decision, Justices Kennedy, Thomas, Ginsburg, Alito, and Gorsuch sided against home goods retailer Wayfair, upholding South Dakota’s internet sales tax legislation. The bill at stake in the case, South Dakota’s SB 106, “requires remote sellers with no physical location in South Dakota to remit sales tax and follow all procedures of the law, as if they have a presence in the state”. In the process of upholding SB 106, the Supreme Court reversed one of its previous decisions in a 1992 case, Quill Corporation v. North Dakota. In Quill, a case based on precedent set in 1967’s National Bellas Hess, Inc. v. Department of Revenue of Illinois, the Supreme Court ruled that a seller must have a physical presence in the buyer’s state to become subject to the buyer’s state sales tax. In his majority opinion, Justice Kennedy pushes for a rejection of the precedent set by Quill, arguing “[e]ach year, the physical presence rule becomes further removed from economic reality”. Kennedy continues: “‘a business may be present in a State in a meaningful way without’ that presence ‘being physical in the traditional sense of the term.’” In other words, according to the Supreme Court’s majority opinion, a business no longer has to physically exist in a state’s jurisdiction to be subject to state taxes. For example, a business based in Virginia, without any sort of infrastructure in a neighboring state such as Maryland, would now have to collect Maryland sales taxes when a Maryland resident makes an online purchase. In the discussion surrounding Wayfair, internet sales tax proponents often defend taxing out of state online retailers by arguing internet retailers should have to submit to the same tax structure as brick and mortar stores, regardless of state jurisdictions. Advocates argue applying state taxes to internet sales will create a level playing field, and even frame Wayfair as a free market solution. While it is true that brick and mortar retailers and small internet retailers would now be taxed similarly, how can applying a dampener on business growth be reasonably framed as a free market solution? Not only that, but those who argue for a level playing field among retailers ignore the principle of taxation without representation. When taken in the light of history, the taxation without representation espoused by the Supreme Court in Wayfair should be very concerning. By forcing businesses outside of state jurisdictions to collect taxes, state governments sow the seed of the same principle that inspired the Founding Fathers to declare independence in 1776. Under Wayfair, an individual who has chosen to build his or her business in a particular location for its favorable tax codes could now be affected by laws passed in another part of the country; in a place the business owner does not have the opportunity to influence political decisions. When individuals pay taxes, they are not simply giving money to the state for nothing, but are receiving services in return. Under South Dakota’s law, out of state businesses are compelled to fund South Dakota police and fire departments, for example, without benefiting in any way from those state services. Unfortunately, many state legislatures will in all likelihood jump at the opportunity to tax businesses outside their states---those business owners cannot vote them out of office after all. As a core American value, taxation without representation is appropriately taken very seriously. But the unique aspect of Wayfair is that taxation without representation is not even the only core American value at stake. The 10th amendment to the United States Constitution, while most often cited to protect state’s rights, also ensures certain rights are reserved to Congress alone. In Article 1, Section 8, the Constitution grants Congress, not individual states, the right to regulate interstate commerce. The impact of Article 1 is clear: it is the role of Congress to debate the merits of an internet sales tax, not an individual state. Leading up to the Wayfair decision, the Cato Institute argued, “[i]f states can directly compel people who live outside state boundaries to adhere to state standards—standards the people had no chance to influence—the concept of statehood itself is undermined”. If the conundrums created by the Supreme Court sound like an opportunity for more government interference in the free market, it would be because that is exactly what Wayfair does. From an economic standpoint, allowing states like South Dakota to tax online sales from businesses based in another state would not significantly harm larger companies. After all, larger retailers with stores or distribution centers in nearly every state, such as Walmart or Amazon, already collect sales taxes in each state where they have a physical presence. For larger businesses with established legal and accounting teams with years of experience navigating various state tax codes, Wayfair does not change much. However, the implications of Wayfair are found in the impacts on small businesses lacking a presence in more than a few states. Laurence Kotlikoff, a professor of economics at Boston University, commented on the effects of the internet sales tax in a recent article published in Forbes Magazine. Along with his position as a professor, Kotlikoff also runs a small online business, Economic Security Planning Inc., marketing personal financial planning tools. Even though Economic Security Planning Inc. only has employees, and therefore a physical presence, in 6 states, according to Kotlikoff, filing taxes for his business costs around $50,000 every year in compliance costs alone. Following the Wayfair decision, Kotlikoff estimates the cost of tax compliance for his business could increase to over $150,000. In response to concerns of high tax compliance costs, proponents of South Dakota’s internet sales tax would point to the exemptions in the South Dakota law. The original legislation in South Dakota mandated that if a business met one of two criteria, the business would be required to collect the state internet sales tax. According to the law, a business only became subject to the tax if a “remote seller's gross revenue of sale…delivered into South Dakota exceeds $100,000” or if a “remote seller has 200 or more separate transactions…delivered into South Dakota”. However, the important fact to keep in mind is regardless of whether or not a small entrepreneur is required to collect a particular state’s sales tax, that business owner must still at least submit a form of non-filing or prepare for the possibility of state audits. Along with compliance costs, small businesses are arguably incentivized to limit sales under the South Dakota law. Imagine a small business has a product that nets just $5 per sale. If they were make 200 sales, meeting the criteria to collect taxes, their revenue, without even considering the normal costs of business, would be $1,000. Now take a higher-end business, a business that nets $500 per sale. If they were to utilize a little bit of financial acumen, they could stop selling to the residents of a particular state as soon as they made their 199th sale. They would not only be able to avoid collecting taxes, but would also generate $99,500 in revenue, over $98,000 more than the tax-filing business that only made $1,000. In other words, the exemptions simply do not protect small businesses sufficiently and actually incentivize businesses to sell fewer of their products in order to avoid collecting state sales taxes---hardly a free market-promoting situation. Even with the significant burdens internet sales taxes would create on small businesses, those in favor of the tax point to the necessity of providing more revenue for state governments. In fact, in the Supreme Court’s decision, Justice Kennedy argues the lack of internet sales taxes “results in significant revenue losses to the States” and “[t]he expansion of e-commerce has also increased the revenue shortfall faced by States seeking to collect their sales and use taxes”. The language used by Justice Kennedy, while seemingly persuasive, only serves to demonstrate the power of word selection. Whenever Kennedy mentions “significant revenue losses”, he is really saying that a significant number of businesses are being allowed to flourish and grow by benefiting from lower tax burdens. Not only that, but state governments are not actually losing as much revenue as proponents would like to argue. According to a 2017 Government Accountability Office study discussing the state revenue impacts of expanded internet sales tax, between $8.5 billion and $13.4 billion is “lost” annually without internet sales taxes, a mere 2% to 4% of total state revenues. Jessica Melugin, Associate Director of the Center for Technology and Innovation at the Competitive Enterprise Institute, argued against the need for internet sales taxes in an article earlier this month. “In fact, total state and local tax collections, across income, property, and yes, even sales taxes just hit an all-time high”, Melugin writes. Not only are tax collections at an all-time high, but Melugin also points to the increased revenue stemming from the recent federal tax reform: “More than half of the states have released official reports on the budgetary impact of federal tax reform, and they overwhelmingly predict enhanced state revenue”. Even in the case of taxes on online sales, according to the Government Accountability Office, a large percentage of online sales can already be taxed due to the market share of large retailers with physical presences in many states: “For the top 100 companies on Internet Retailer’s list, we estimated this seller collection rate to be from 87 to 96 percent”. If states do not actually need revenue as Melugin pointed out, the ultimate question comes down to what the tax means for the small business owner, the entrepreneur, and the Mom and Pop stores. The tax reinvigorates taxation without representation, violates key principles of Federalism, and is harmful to small businesses across America. Only time will tell what Wayfair v. South Dakota and the spread of the internet sales tax will do to the free market. I must say great insight and thanks for sharing. Please visit for proxy services. This article was originally published in English. , they are able to find the existing version effortlessly as a result of your applied website link. " When I get in and get older, they may still be falling to the current market. In addition to that, the information may be needed, which I put in a new post, then I am able to do so by adding a link to the newer content. I appreciate that tip. Thanks. Mcafee Antivirus Product - Mcafee.Com/Retailcard - Mcafee.Com/Activate :- Get Started with your McAfee Setup by visiting Www.Mcafee.com/Activate and Enter 25-digit Activation Code to Setup Mcafee. Office Com Setup 365 - Office.Com/Setup - Setup Office.Com/Setup :- Learn how to setup Microsoft Office Security by visiting Office.Com/myaccount and let's get started with office.com/Setup by Microsoft Setup. Setup Office Com 365 - Office.Com/ Setup - Www.Office.Com/Setup :- Get started with your Microsoft Office Installation you must need valid product key code. Visit www.office.com/setup when buying Microsoft Office for setup installation method. Our Certified specialists experts will assist you in Microsoft Office. Office.Com/Setup,365 Office Setup Service :- Office setup suite is an important set of software made to resolve the problems of inaccuracy and mistakes in documentations and presentation with the help of gear along with word & powerpoint. <a href="http://www.ms-office.us.com/setup/"><strong>Office.Com/Setup,365 Office Setup Service</strong></a> :- Office setup suite is an important set of software made to resolve the problems of inaccuracy and mistakes in documentations and presentation with the help of gear along with word & powerpoint. Through the experience Gruwell and her students wrote and published The Freedom Writers Diary: How a Teacher and 150 Teens Used Writing to Change Themselves and the World Around Them, which was later the basis of the 2007 movie Freedom Writers, starring Hilary Swank. In the book, Gruwell discusses how she challenged her students to overcome the seemingly insurmountable problems of poverty, racism, violence through writing. A graduate of the University of California Irvine, she received the Lauds and Laurels Distinguished Alumni Award. She earned her Master's Degree and teaching credentials from California State University Long Beach, where she was honored as Distinguished Alumna by the School of Education. Gruwell is the founder of the Freedom Writers Foundation. She created the Freedom Writers Methodology, a progressive teaching philosophy and curricula designed to achieve acceptance and excellence from all students. She currently tours around the world to teach educators how to implement her innovative lesson plans into their own classrooms. Acclaimed teacher and author Erin Gruwell will present with remarks focusing on Educational Equality and the Value of Diversity on Thursday, September 28 at 7:00 p.m. in the Kresge Theater in the Ford Center for Fine Arts. Official Supreme Court case law is just found in the print adaptation of the United States Reports. Justia case law is accommodated general educational purposes just, and may not reflect current legitimate advancements, decisions or settlements. A business entity is performing over a specific period of time, typically monthly, quarterly or yearly. Income statements find the sum of a company’s expenses and revenue in order to find its net income during the time period under assessment. This looks like a good type of news which needs to be shared in large dynamics here which can be one of the versatile movement to read would love to read https://www.papersarena.com/ details which has led me here to this following point. The state is likewise free not to force deals assesses or to absolved certain composes or organizations ordeals. Basically when we execute this it will probably be over a guide library as opposed to utilizing a guide picture.https://www.essaytrophy.com No course of events yet we've heard a ton of interest for this. Such the very nice post here this is the wonderfull i am here for given this update for you have to like for here find the fix sound problems in windows 10 you need to get here https://fixforwindows.com/audio and save to more information to help you access in device of audio thanks. WASHINGTON, D.C. -- FreedomWorks cheers the announcement of confirmation hearings for President Trump’s Supreme Court nominee, Judge Brett Kavanaugh. WASHINGTON, DC - FreedomWorks applauds President Trump’s decision to select Judge Brett Kavanaugh as his Supreme Court nominee. Judge Kavanaugh has served with distinction on the U.S. Court of Appeals for the District of Columbia Circuit.